This entry was posted on Friday, April 3rd, 2009 at 3:37 pm	and is filed under Art Cars, Celebrities. You can follow any responses to this entry through the RSS 2.0 feed. You can leave a response, or trackback from your own site. 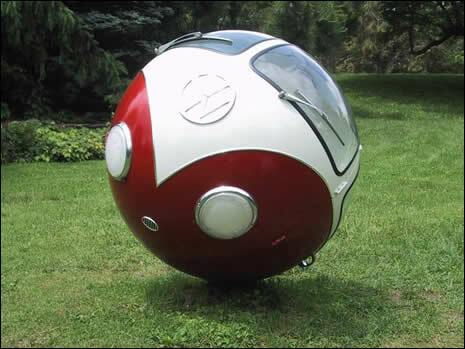 I’ve seen that VW ball around on various forums and VW sites but I never knew it was created by Billy Gibbons from ZZ Top – crazy cool. This is some engineering feat and really something to look at in complete awe. I love that it looks like the old VW van too. You think it’s possible to get inside it? 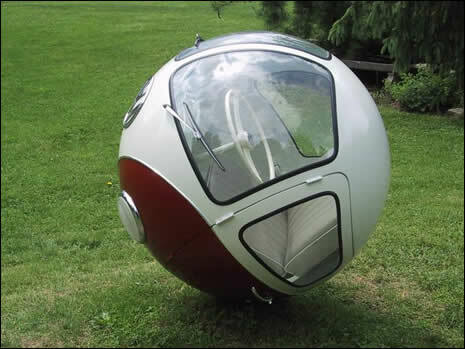 What kind of creativity designs a ball for art….out of an old vw bus? crazy?